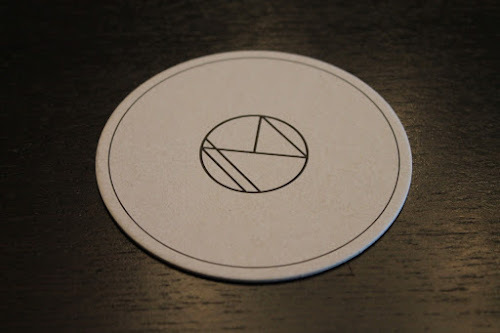 Three years ago, we visited The NoMad for dinner. We had an excellent meal of roast chicken for two, as well as some pretty decent cocktails. At the time, The NoMad had two bar spaces: the bar in the back of the dining room, now referred to as the "elephant" bar because of its statues and the nearby library space. Although the restaurant had a tremendous amount of buzz, the bar proved to be just as popular if not even more acclaimed. The NoMad Bar received a James Beard Award nomination for Outstanding Bar Program in 2013 and then won that award the following year. As Eater tells it, the popularity of the bar was such that hotel guests (The NoMad is a hotel after all), were unable to relax at the bar. So they expanded, creating a new third bar space, The NoMad Bar, a beautiful wood-paneled space with a large bar, booths, standing tables and a second floor of additional tables. It's the sort of setting that exudes class and good taste. Although The NoMad Bar is accessible via a curtained hallway between the Elephant Bar and Library, it also has its own entrance, as well as its own menu, a list more akin to pub fare than the gourmet dishes in the dining room. It also boasts a massive cocktail menu, an enticing list mix of classic drinks, new creations and large-format "cocktail explosions," punch-like creations served from a giant goblet-like glass container with a spigot. It serves eight, takes two bartenders to make and costs over $100. And they sound pretty awesome. If ever we're there with more people, we're getting one. Credit for these creations goes to NoMad's bar director, the talented Leo Robitschek. 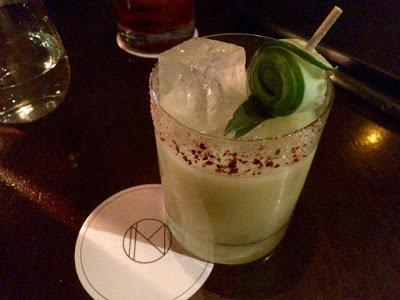 We visited The NoMad Bar after dinner, so we stuck to drinks and loved every one we tried. I've mentioned before that the Manhattan is our favorite cocktail right now; however, I hadn't yet had a really good one while actually in Manhattan (the one I had last summer at Colicchio & Son's Taproom was, unfortunately, not as good as I'd hoped). 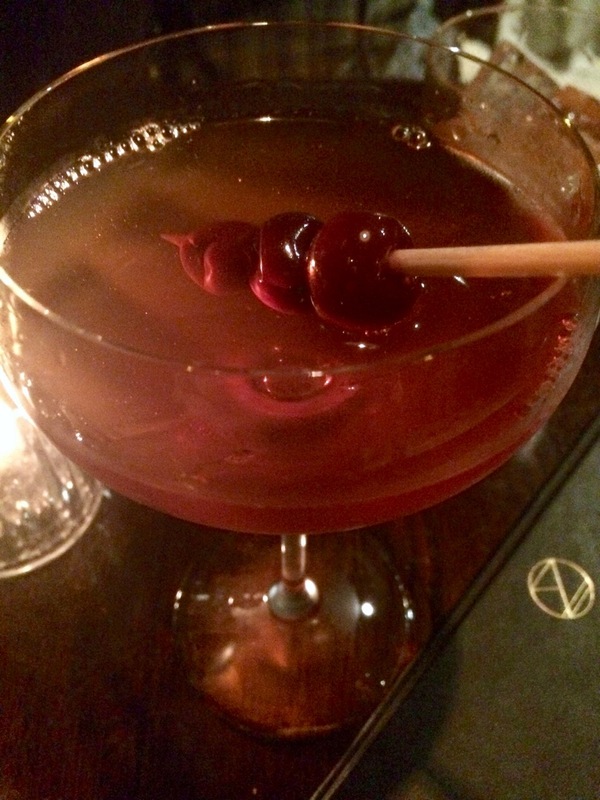 Thankfully, The NoMad rectified that oversight, as the Manhattan was absolutely perfect. Our favorite drink was Always Betz on Black, a drink that also appears on the Eleven Madison Park bar menu, made with Irish whiskey, rum, Islay Scotch, sherry, cold-brewed coffee and Angostura bitters. It's a dynamite good winter cocktail, all smoky, roasty and dark. Along similar lines was the Gentlemen's Exchange, a potent mix of rye, Suze, Foro amaro, sweet vermouth, cold-brewed coffee, absinthe and angostura bitters. For something a little brighter, I tried the Dr. Feelgood, made with mezcal (my favorite spirit at the moment), sherry, Suze, génépy (an herbal liqueur), avocado, lemon, lime and jalapeño, beautifully garnished with a rolled slice of cucumber and a spicy rim. Another excellent drink. Our first night ended with North Sea Oil, another smoky creation of Islay Scotch, aquavit, Cocchi Americano and triple sec. Did you catch that mention of a "first night?" Yeah, we went back a second time. It was that good. Any luckily we were able to get a table both nights because the place was really busy both Monday and Tuesday nights. Despite that, we received good service, with someone nearby always coming by at the right time to let us order another drink. People-watching at The NoMad Bar is also fun. We saw a family of foreign tourists with kids (yes kids in a cocktail bar), a young couple that couldn't keep their hands off each other and a trio of well-dressed twenty-something guys that ordered one of those cocktail explosions and left after drinking maybe a third of it. Seriously, who drops that kind of money on cocktails and then doesn't drink them? (Wall Street types maybe?) We were tempted to rush over and bring the thing to our table to finish. 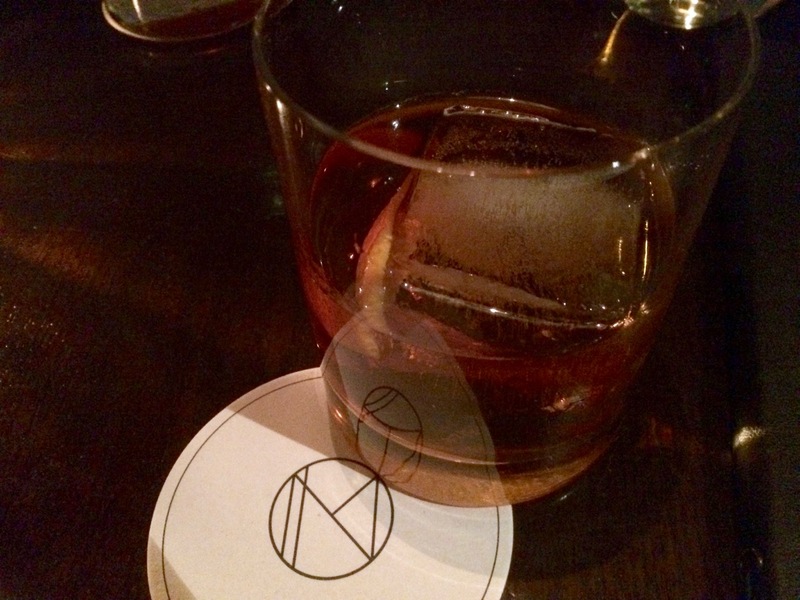 Although most of our best drinking in New York takes place in the East Village these days, we were happy to discover that The NoMad Bar is an excellent place for good cocktails further uptown. With most cocktails priced in the high teens, The NoMad Bar is by no means a cheap place to drink, but it certainly is a satisfying one. I just hope we can get a table next time. The NoMad Bar, 1170 Broadway (through The NoMad Hotel and restaurants, also a separate entrance on 28th Street), New York, N.Y. (NoMad district, north of the Flatiron). (212) 796-1500.